Benzathine benzylpenicillin (rINN) is a form of penicillin also known as benzathine penicillin. It is an antibiotic useful for the treatment of a number of bacterial infections. Medical uses for benzathine penicillin include: prevention of rheumatic fever and early or latent syphilis. Looking for ideal Benzathine Benzylpenicillin For Injection BP Manufacturer & supplier ? We have a wide selection at great prices to help you get creative. 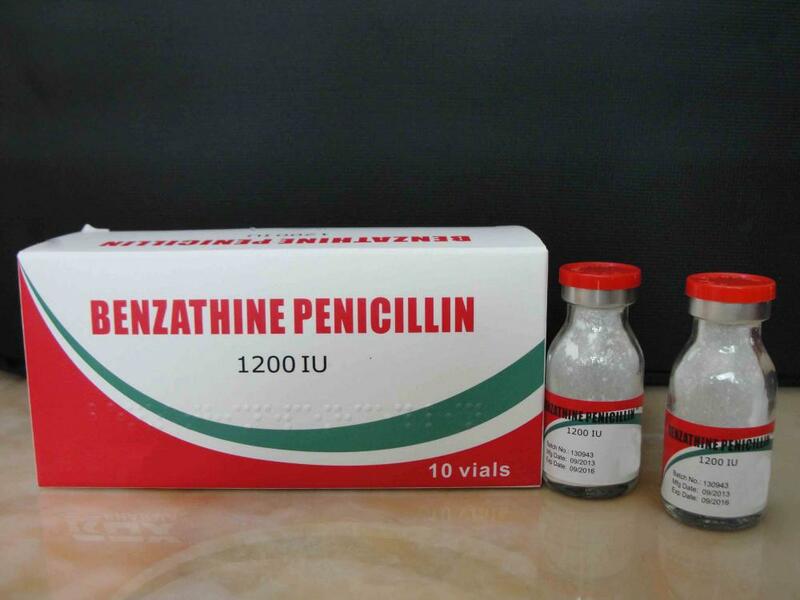 All the Benzathine Penicillin For Injection BP are quality guaranteed. We are China Origin Factory of Benzathine Benzylpenicillin for Injection Penicillin BP. If you have any question, please feel free to contact us. Related Productslist: Benzathine Benzylpenicillin For Injection BP , Benzathine Penicillin For Injection BP , Benzathine Benzylpenicillin for Injection Penicillin BP , Benzathine Benzylpenicillin For Injection , Benzathine Benzylpenicillin for Injection , Benzathine Penicillin For Injection , Benzylpenicillin For Injection BP , Benzathine Benzylpenicillin for Injection 2.4mega I.U.